Al & Andrew Westphal, Leaders: 206-780-7844 or westphalac@aol.com (e-mail preferred) to register. An annual favorite. 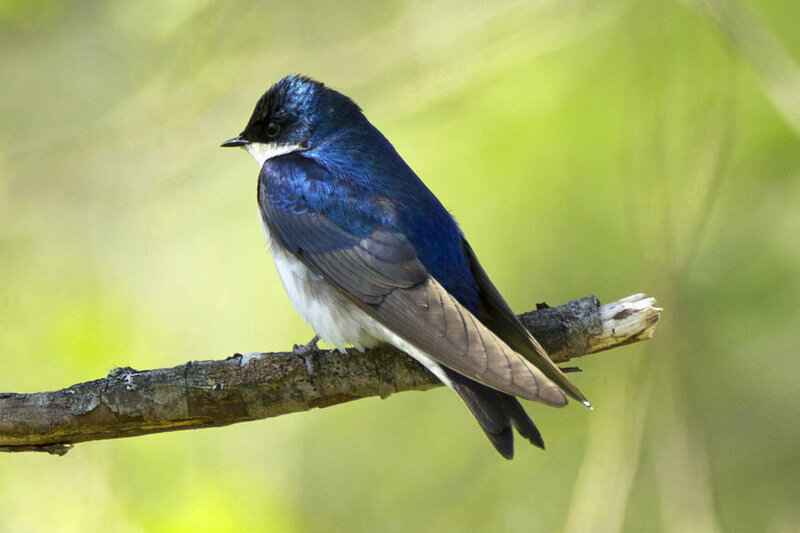 Lots of spring arrivals should be present, especially big numbers and a nice variety of swallows. Maybe a few good warblers too. We encourage families to bring children, 3rd grade and above. Meet 8:30 a.m. at the Theler Wetlands Nature Center. It is on Highway 3 at the 2nd red light, just south of Belfair in Mason County. Al & Andrew Westphal, leaders, westphalac@aol.com to register. A long halfday trip, but there are few places in the region better for observing a great variety of nesting bird species, and they should all be here by mid-June. We will walk the forest and barn trails and as far out on the boardwalk as we care to go. Meet at the parking lot by the visitor center at 8:30. a.m.
From the City Dock in Port Townsend led by noted naturalist George Gerdts. Protection Island is a 400-acre National Wildlife Refuge at the entrance to Discovery Bay. Expected birds include Glaucous-winged Gulls, Rhinoceros Auklets, Pigeon Guillemots, Double-crested and Pelagic Cormorants and sometimes, Brandt’s Cormorants. A main attraction is the nesting colony of TUFTED PUFFINS. To sign up: Call Bainbridge Island Parks and Recreation at 206-842-2306 ext. 118 and ask for “Protection Island Sunset Cruise” #131851-01. Cost is $90.00/participant plus additional $5.00 charge for non-Bainbridge Island residents. KAS members will have 20% ($18.00) of the fare DONATED to Kitsap Audubon Society by informing BI Parks that they are KAS members when they sign up. The “Glacier Spirit” is a comfortable, diesel-powered yacht with excellent viewing from inside the craft and ample viewing space outside on the front deck. The Glacier Spirit leaves from Port Townsend at 5:30 p.m. sharp and returns between 8:30 and 9:00 p.m. Boarding will start at 5:15 p.m.